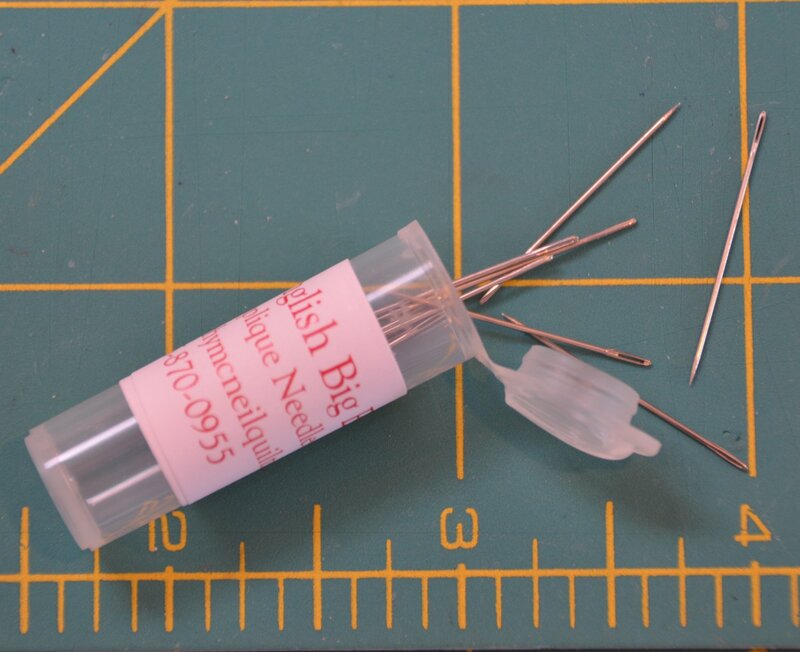 These #10B needles are made in England. 10- per pack). They are a made with a much stronger higher carbon steel. That allows the manufacturer to cut MUCH larger size eye holes for threading. English needles are best known for the eye of the needle. The shaft is polished to reduce thread strain allowing smooth passage through your fabric. I have never snapped one, even after sewing with the same one for years. They remain very sharp and are just so much easier to thread! These are my all time favorite needles for hand applique work!! They used to be carried by Jean Lyle and came in little wood cases. The manufacturer has unfortunatley changed to plastic cases. They are the same needles but the cases are not nearly as dear as they used to be. Jean retired and now we carry them because I haven't used anything else for 15 years!